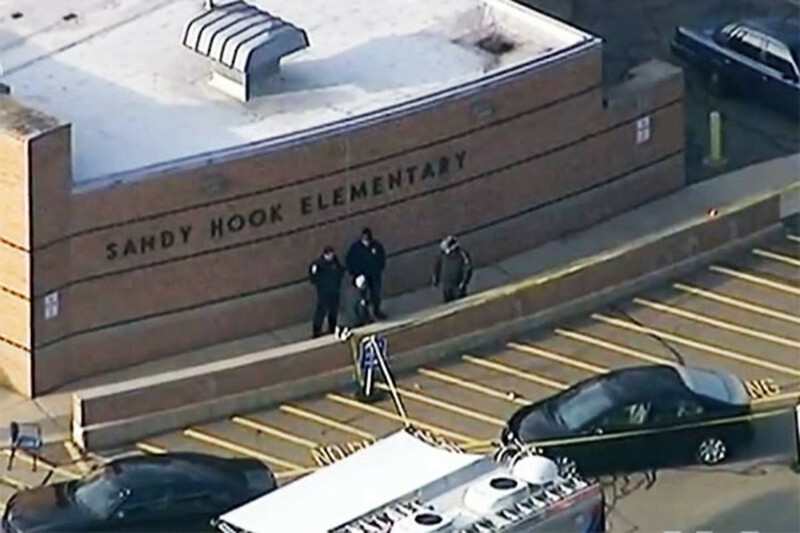 After Sandy Hook, Must Our Schools Look Like Stockades? A year after the Newtown school massacre, architects assure us that safe schools don't have to look and feel like bunkers. But they also note that facilities can only go so far in providing security in a violent world. Last year on December 14, I felt compelled to collect my daughter earlier than usual from her kindergarten here in Albuquerque, New Mexico. I encountered a number of other distraught parents driven by a similar impulse. Earlier that day and 1,800 miles away, an armed intruder gunned down 20 children and six adults at an elementary school in Newtown, Connecticut—the deadliest K-12 school shooting in U.S. history. 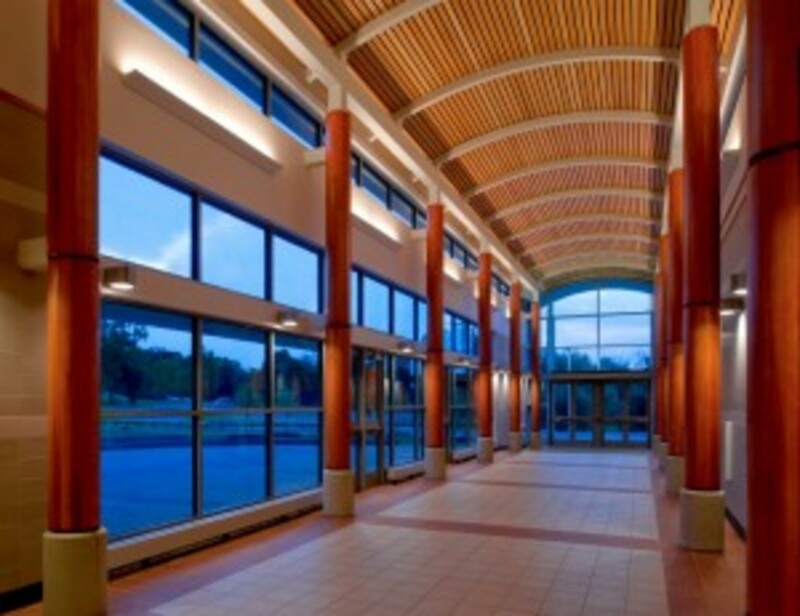 Because the intruder used a gun to shoot through tempered glass at the school entrance to gain access, many school districts and facility designers instantly began focusing their attention on using stronger glass or supplementing existing windows. Meanwhile, the Newtown school board quickly requested police officers at all of its elementary schools. Since that terrible morning, more than 450 legislative bills related to school safety have been filed across the country, including proposals to arm teachers—an appalling thought for the majority of Americans. No doubt, school environments will be changing, and how safety concerns manifest themselves raises a disturbing question: Are our children’s schools destined to look and feel increasingly like correctional facilities? He is putting his ideas into practice with the relocation and expansion of Vincent Academy, a charter school that currently serves 135 elementary school students from kindergarten through third grade in a small building in West Oakland. The violence-prone area is vastly different from the affluent bedroom community of Newtown, Connecticut. In fact, with the Vincent Academy project, the architect’s surveyors were mugged while examining the new site for the school. The school’s move will enable it to expand to serve some 350 students through fifth grade as well as to partner with BRIDGE Housing in combining quality education, affordable housing, and support services for both residents and families of students. The project, Calthorpe hopes, will create an anchor for revitalization. Among other safety aspects, the future Vincent Academy, expected to be open for the 2015-16 school year, will feature two buildings with controlled access to the campus between them; a reception area at the main entrance overlooking much of the play yard; landscaping with low bushes and shrubs that won’t furnish enough cover as a place to hide; and an eight-foot fence made of open pickets and solid panels that will allow some privacy yet still enable emergency responders to view the site. If students from Vincent Academy go on to enter the public school system, they will not be expected to pass through metal detectors each morning; the Oakland Unified School District does not use them. Regardless of building type, or demographics, a number of universal changes can be expected in school design and operation. 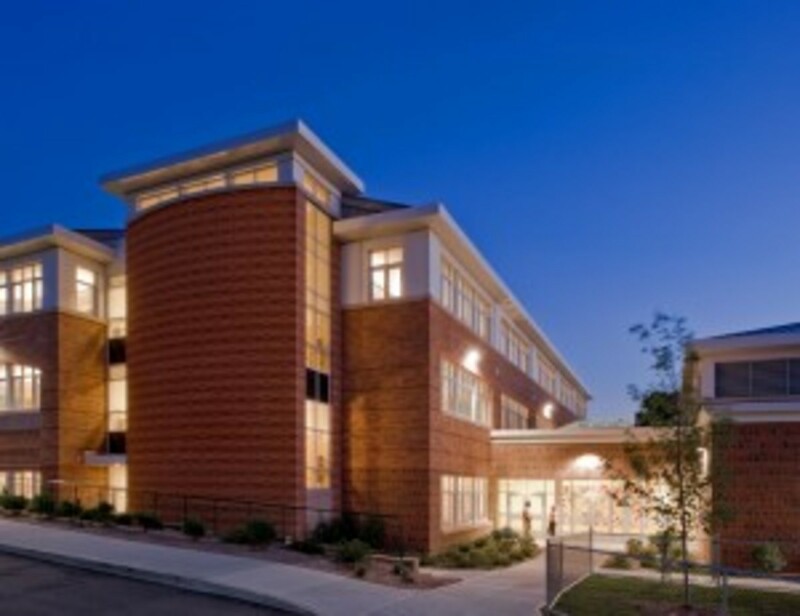 “Schools are being designed with more perimeter control, where there’s only one way in and one way out, often with personnel there or a locked vestibule to enable the school to ensure that the person there is supposed to be there,” said Russell Davidson, president of Mount Kisco, New York-based KG&D Architects, which has been specializing in educational facility design for more than 70 years. 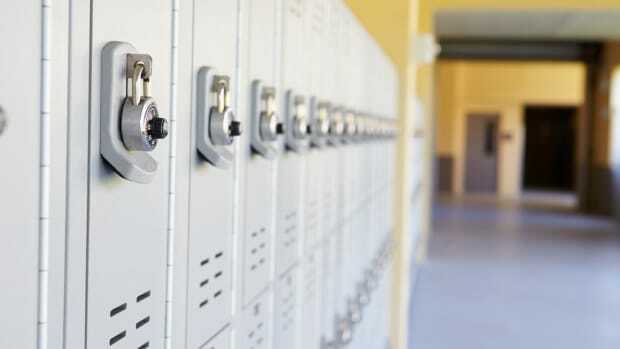 Davidson noted a number of other important safety features likely to become more common in schools: security cameras, fencing around courtyards, classroom doors that can be locked from the inside, two-way communication systems in classes, and corridors that can be locked down in sections. City planner Oscar Newman’s 1972 classic Defensible Space outlines a design theory for the creation of safer neighborhoods. Among other factors, Newman posited that a place’s security is closely linked to its inhabitants’ ability to see what’s going on around them. Graham’s firm, which has been practicing in the K-12 market for more than 15 years, is focused on creating more compact layouts that reduce perimeter areas and access points while promoting clear, efficient interior circulation. Especially when developed with traffic safety improvements, Graham said these elements can collectively produce a more controllable and defined main entry. Additionally, site layout and planned landscaping that optimizes visibility will help enhance passive security—an important tenet of Newman’s Defensible Space theory—so that individuals approaching the building anywhere other than through the main entry are more noticeable. Complicating the issue, of course, is that security concerns must also address the prospective dangers associated with the very people who belong on campus. “Often these shootings are perpetrated by students, most often those who are marginalized, bullied, or falling through the cracks unnoticed,” said Alan Ford, a Colorado architect and president of the Rocky Mountain Chapter of the Council of Educational Facility Planners. Architecture can only go so far in addressing these wider concerns. Colorado, at least, has had the benefit of progressive legislation after the hard lessons learned in the aftermath of the Columbine High School shootings in 1999 and subsequent tragedies. After an incident in 2006, when an armed intruder entered Platte Canyon High School, held several girls hostage for hours, sexually assaulted them, and shot one to death before killing himself, Senator Tom Wiens introduced a bill that set the framework for state-wide enhanced school safety. That bill was followed by legislation addressing anti-bullying measures, emergency communication and education, and grant writing support for providing school resource officers. , while focused on finding funding for facilities, also aggregates current news on school security issues and creates its own material addressing the legislative, training, compliance, funding, and public awareness sides of the issue. As far as addressing safety at the school itself goes, experts like Ford all agree. “You just can’t completely plan around armed intrusions, so it’s important to implement measures that provide a coordinated response and that slow prospective intrusions,” Ford said. Like several architects and designers, Thurnau said that addressing safety concerns will likely come with some nominal inconvenience to students, staff, and parents. “Yes, it may take a little more time getting in and out of schools, but it’s not unlike what we all had to go through with airport security 10 years ago,” he said. Indeed, many parallels can be drawn between the challenges of school safety and homeland security. But one of the singularly disconcerting things about school shootings like Sandy Hook, which make any parent shudder, is the notion that the enemy may be something of our own cultural making—and will require more than the many enhanced security measures that are to become standardized. Last month, Sandy Hook Elementary School was demolished. A new school is expected to open on the same site in 2016. 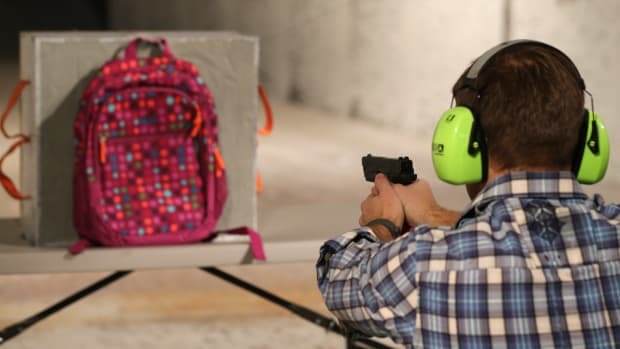 School districts and parents around the country are investing in bulletproof backpacks and whiteboards, security consulting, and safe rooms. But will any of it work? Even if a traditional four-year university isn’t the best option for some students, they’ll still benefit from college preparedness courses and training in the public school system. In El Paso, our Michael Haederle reviews innovative ideas suggested for arresting the wear and tear on roads, bridges and other infrastructure. Do Bulletproof Whiteboards Protect Children or Traumatize Them? 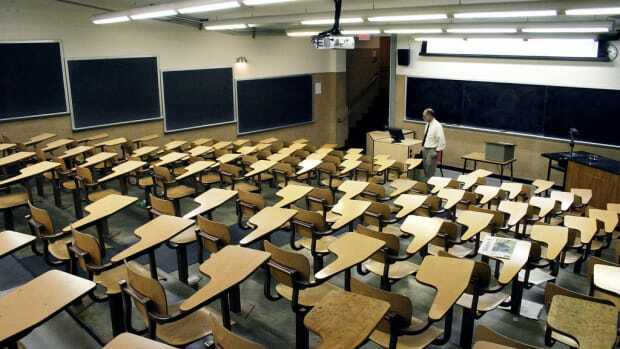 Hardwire Armor Systems outfitted Delaware’s Colonial School District this year with bulletproof whiteboards capable of absorbing ammunition from handguns, shotguns, or assault rifles. No psychiatric evaluations of the technology and the effect it could have on children were conducted. It may seem unlikely, but new research says that increased TV watching alone isn't likely to harm children's thinking or schooling. Challenging tests and falling short may be hard on the ego, but they can do more than mere studying for eventually getting it right.